Curbside Collection is Single Stream Recycling! Single Stream Recycling in Cape May County: It’s An Easier, Better and More Efficient Way to Recycle! All Recyclables in One Container. Go on…Put it In! 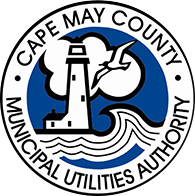 In April 2013 the Cape May County Municipal Utilities Authority’s recycling program switched to a Single Stream collection and processing system. Single Stream Recyclable Materials may be mixed together and set out at curbside for collection in a single recycling container. No need to put news and other papers, boxes etc. in one recycling container and aluminum and steel cans, plastics, glass in a separate recycling container. All Single Stream Recyclables placed in one Recycling Container! This is Single Stream Recycling . Switching to a Single Stream Recyclable System also enabled the CMCMUA to expand the list of recyclable materials that can be recycled. This list includes, but is not limited to, dry food boxes, paper towel rolls, clean pizza boxes, hard plastics containers up to 5 gallons in size, margarine tubs, microwave trays, and yogurt container. More materials recycled, less waste going into the Landfill. It’s a Win-Win for all of Cape May County. Click here for the CMCMUA list of Designated and Recommended Recyclables. Click here for a video on Why You are Recycling Wrong. Paper, Plastic, Metal, Glass - it all goes in one container for curbside collection. All paper and cardboard items that do not contain waxy coatings, food, food waste, or bodily fluids. All plastic items less than 5 gallons in size. All metal items less than 5 gallons in size. All glass containers less than 5 gallons in size. Or Contact CMCMUA Recycling Coordinator (609)465-9026. Last Modified March 13, 2019, 3:30 p.m.